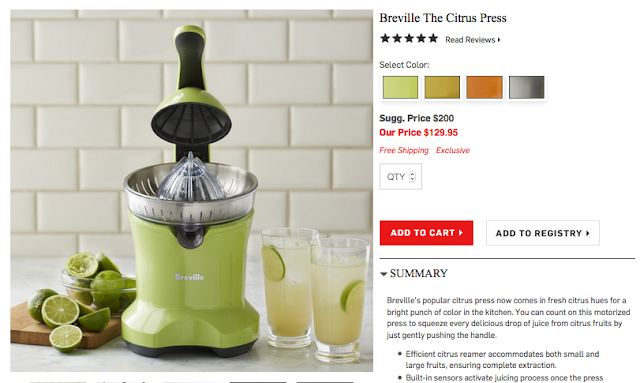 Choosing a Citrus Juicer: What Should You Buy? Are you thirsty right now? What would hit the spot? 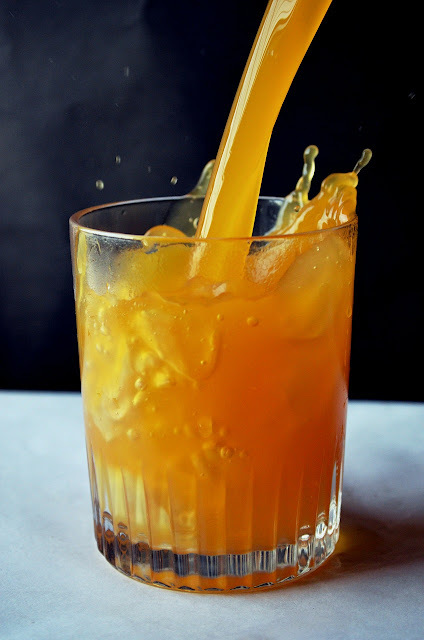 How about a tall, cold glass of sweet, freshly-squeezed orange juice? There’s really nothing like it—and let’s face it, the grocery store stuff in the cartons and plastic bottles just can’t compare. For pure, distilled orange flavor the way it should be, it needs to be fresh. Here at Florida Fruit Shippers, of course, we take our orange juice seriously. (My favorite juicing orange is the Page, but I also enjoy tangerine juice—have you tried it? Valencias are another classic juicing fruit.) When Florida citrus are in season, I enjoy fresh-squeezed juice all the time. But that brings us to another question. What’s the best way to squeeze every last drop of goodness out of those oranges, tangerines, and grapefruits? Well, as it happens, there’s a vast array of juicers out there, from the humble citrus reamer to gorgeous heirloom-quality juicers selling for $200 and up. Let’s take a look at some of the choices. Short on cash, or cabinet space? No worries—there are options out there. 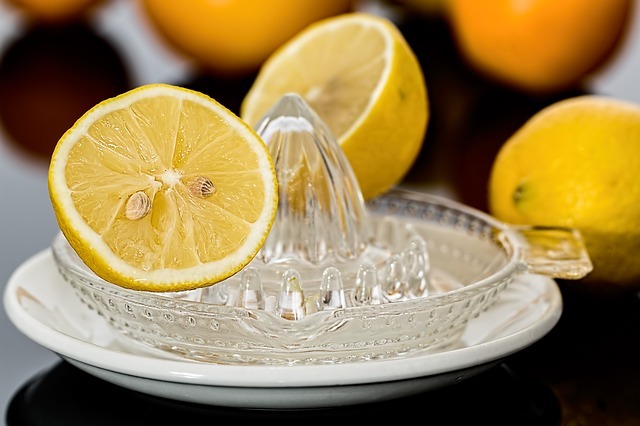 You could try out the classic wooden citrus reamer. It’ll set you back a mere six bucks, and it works just fine for a few fruit. I own one of these, but I use it mostly to juice lemons and limes for cooking. Stepping things up a bit, you could try this glass reamer design with an integrated dish. This type of juicer has been around forever. You may even be able to pick up a really cute one in an antique store. You probably won’t want to make a gallon of orange juice with this, but it works! Finally, this double-handled juicer gets a lot of good reviews for a small, inexpensive gadget. There are plenty of similar ones out there. Need a little more power, but don’t want yet another electric device on the counter? Why not go vintage in style? I personally am the proud owner of a 1950s “Juice-o-Mat,” a design that goes back to the 1930s. This nifty little hand-powered device uses the power of weight and levers to extract a ton of juice from oranges and other citrus. You can find these babies on eBay or at antique stores. Note that there is a very similar-looking “modern” version, but it gets poor reviews. There are many styles of upright “press” juicer similar to this one, though that particular model seems to get the best reviews across the web. While it’s not especially cheap at over $100, customers enjoy the ease and speed with which it juices oranges, grapefruit, and other citrus, and seem to think it’s built to high quality standards. It’s also quiet, which we can’t say for the electric options below. It has sort of a cool “laboratory” look, which you may enjoy. What about a small electric device that easily stores away under the counter, but can pump out relatively large quantities of juice? While these can be pretty noisy while in use, they also are quick and easy. This one and this one get pretty high marks, and at under $20, they definitely won’t break the bank. A good choice for someone who enjoys juice but isn’t ready to shell out major money or take up a lot of counter space. Finally, if you really love your daily orange juice, mix a lot of citrus-based cocktails, or want a counter showpiece, many recommend an attractive electric juicer like this one. While the price point is fairly high, they may be the easiest to use, producing fresh juices almost effortlessly while looking great in your kitchen. That’s right—roll them around on the counter first, pressing down a bit with your hands. Stick them in the micro for about 10-20 seconds—that’ll get the juice flowing. If you have a) a lot of time and b) a lot of fruit and c) a lot of freezer space, you may want to try this interesting trick. Throw the citrus into the freezer—whole! Then either let them thaw in the fridge or stick them back in that microwave again for a few seconds. They’ll give up quite a bit more juice! With this advice under your belt, are you ready to go out and juice up a pitcher of fresh orange juice...or tangy margaritas? We think so. The Vegetable Juice Extractor is a good value buy that will not spend much cash. 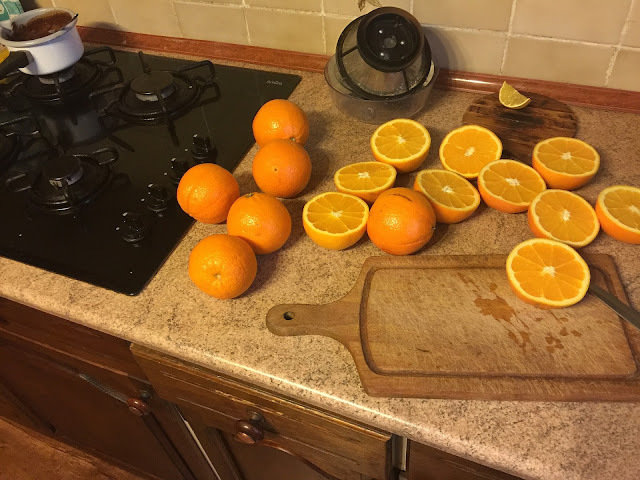 When you have not obtained much cash to spend on the juicer plus citrus fruit juices are usually your favorite kind, it’s certainly a valuable investment decision….